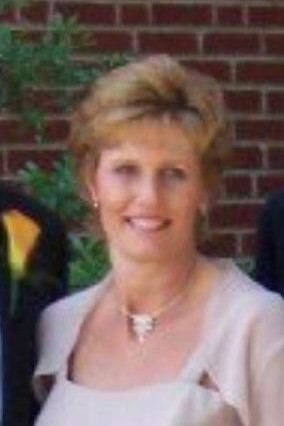 Susan Lynne Rommelman, 57 of Hoyleton, passed away at 9:43 p.m. on Monday, March 25, 2019 at her residence with her husband at her side. She was born on October 13, 1961 in St. Louis, MO, the daughter of Franklin and Marion Koester Weihe. She married Steven Rommelman on August 29, 1981 in Hoyleton and he survives. Also left to mourn her passing is a son; Brock Rommelman of Hoyleton. A daughter; Jenna (Samuel) Elbert of Metamora. Her father; Franklin Weihe of St. Louis. 4 grandchildren; Quinn and Parker Rommelman and Weston and Chase Elbert and a step granddaughter; Ella Barr. A sister; Sheree Gospodarski of St. Peters, MO and her son Lucas. Brother in law; Brad (Lisa) Rommelman of Hoyleton and 2 sister in laws; Sara (Dean) Heinzmann of Peoria and Jan Rommelman of Wildwood, MO. She was preceded in death by her mother Marion Weihe. Sue was a graduate of McCluer North High School in Florissant, MO. She first worked as a teller at the Hoyleton State Bank. She then served as the book keeper for Rommelman Brother Farms in Hoyleton and served as a part time physical therapy assistant at the Orthopedic Center of Southern Illinois. She was a member of Trinity Lutheran Church in Hoyleton. Sue enjoyed wood working with her father, crafting at home, working with her husband at the family farm and raising her children. Funeral services will be held at 11:00 a.m. on Friday, March 29, 2019 at Trinity Lutheran Church in Hoyleton with Rev. Nathan Wollenberg officiating. Burial will follow in the church cemetery. Friends may call from 5:00 to 8:00 p.m. on Thursday at the church and one hour prior to services on Friday. Memorial contributions may be made to Trinity Lutheran Church or a charity of the donor’s choice. Styninger Funeral & Cremation Chapel in Hoyleton is in charge of arrangements.